Top 100 Golf Courses spokesman Andy Newmarch said: “Another strong move for Son Gual in the continental Europe numbers – a great modern course with high standards that improves on each visit. One of the younger European courses that has to be on your ‘must play’ list …”. The accolade follows on from last year’s Golf World ranking which also placed the 7,240-yard, par-72 course – located just outside Palma – as the top venue in Mallorca and seventh in Spain. Son Gual’s stunning €30m course celebrated its 10th anniversary last year. 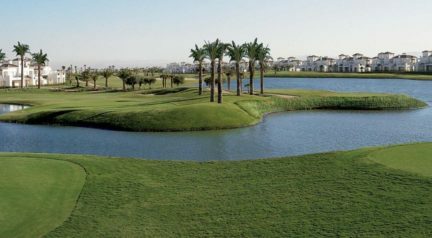 It features large lakes, 66 bunkers, 800 olive trees – some more than a thousand years old – wild flowers in the rough and vineyards in several areas around the course. It includes several outstanding, memorable holes, including a closing hole described by one reviewer as a “serious contender for Europe’s best par-five and Spain’s most dramatic 18th”, plus one of the best collections of par-threes in Spain. Son Gual is also a regular celebrity haunt: visitors have included German FIFA World Cup-winning captain Lothar Matthäus; German national football manager Joachim Löw; the former mayor of New York City, Michael Bloomberg; tennis’ 16-time grand-slam event winner Rafael Nadal; and any number of instantly recognisable faces from the worlds of TV and entertainment.